About 28 jobs in Research & Development sector. The Future Urban Mobility Interdisciplinary Research Group is seeking a highly motivated Senior Software Engineer for the development of the SimMobility Short and Mid Term activity-based simulation software. •Demonstrated ability to effectively manage concurrent technical tasks with competing priorities. •Demonstrated effective interpersonal skills to interact with all levels of personnel. Interested applicants are to submit their full CV/resume, cover letter and list of three references (to include reference names and contact information) via the stated website. We regret that only shortlisted candidates will be notified. •Oversee and manage the recruitment and appointment functions, including but not limited to staff appointments, visiting appointment, affiliate appointment, casual appointment and student attachment appointments. •Assist with the application and submission of the appropriate employment/work pass. •Handle all HR related reports, statistics and surveys for Management, government and government related agencies. •Performs other duties and responsibilities as required. •Must be able to work as part of a cohesive team. •Lead in the operations of the IT systems including the interfacing with National Super Computing Centre (NSCC), TCOMS IT system maintenance and safeguarding system security. •Attend to researchers' computational needs in research programmes. •Able to work independently and in a team. This is a part-time appointment for six months for up to 20 hours per week. The Part-Time Research Assistant will be involved in a project related to thermal comfort in urban areas. The candidate will contribute to the maintenance of meteorological devices and the collection of data from specifically deployed measurement stations at two meters above the ground. 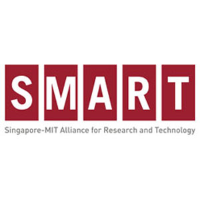 The candidate will work with Dr. Juan A. Acero, at the Singapore-MIT Alliance for Research and Technology (SMART) in Singapore, and under the supervision of Professor Leslie Norford. Providing innovative solutions for our clients is what we do. But innovation just for the sake of innovation isn’t why we do it. Side-by-side with our clients, we strive to move drug discovery forward, to help them develop life-saving and life-improving drugs. We help change people’s lives for the better every single day. It’s who we are. And it’s who you could be too. Team Manager you will create and maintain all relevant clinical project documents, and tools pertinent to the phase of the study, ensuring compliance with company, applicable regulatory and customer requirements. You will need to ensure consistent implementation of PRA methodologies during the different phases of the study. You will serve as the primary liaison and primary point of escalation for clinical activities and team issues, interacting with clients, vendors and other PRA functional areas. You will work with the Project Manager to build and foster the client relationship and provide data as required for clinical performance metrics and project status metrics - applying and drawing conclusions between project activities/deliverables and project metrics and initiating measure to improve metrics. You will liaise with Clinical Operations Managers to resolve resource and performance issues and contribute to Business Development activities participating in proposals and bid defenses as needed. The successful candidate will have an undergraduate degree or its international equivalent in clinical, science, or health-related field from an accredited institution or a licensed health-care professional (i.e., registered nurse). You will have substantial experience using computerised information systems, Outlook, Word, Excel, PowerPoint, and CTMS. You will have thorough knowledge of ICH GCP and an awareness of local regulatory authority regulations regarding drug research and development required. You must have a considerable amount of experience in clinical research with experience of managing clinical projects. ongoing account manager for designated clients. •Take care of the day-to-day research needs of the assigned clients. significant global impact that this R&D programme addresses. This high-impact focus includes measurement and feedback control of processing parameters that contribute to cell viability and function during cell proliferation, and the measurement at intermediate and final steps of the cell product properties correlated with positive therapeutic outcomes. •MIT alumnus/alumna or previous MIT or SMART research appointment preferred. Interested applicants will have to submit their full CV (including papers published, patents filed, etc. ), a cover letter, a research leadership statement (2 pages), and list of three references (to include reference names and contact information). We regret that only shortlisted candidates will be notified.